The Antarctic Peninsula is the area of Antarctica most visited by cruise ships and is regarded as one of the most beautiful places on earth. The Antarctic Peninsula is the northernmost part of the continent of Antarctica. It extends from a line between Cape Adams (Weddell Sea) and a point on the mainland south of Eklund Island. Antarctica is an incontrovertible area of ethereal stillness and natural beauty. The limitless landscape of ice, snow, sea and sky comes in all shades of white and blue. This area of pristine wilderness has very few human residents beyond scientists and explorers, which gives visitors a wonderful opportunity to interact with the wildlife including penguins. The joy of watching these fearless, friendly creatures going about their daily routine, stealing stones from anothers nest or plunging effortlessly into the waters in search of fish is quite unmatched. Named for it' s crescent shape Half Moon Island has a large rookery of chinstrap penguins as well as nesting Antarctic terns and kelp gulls. Whales can sometimes be seen patrolling the shores. 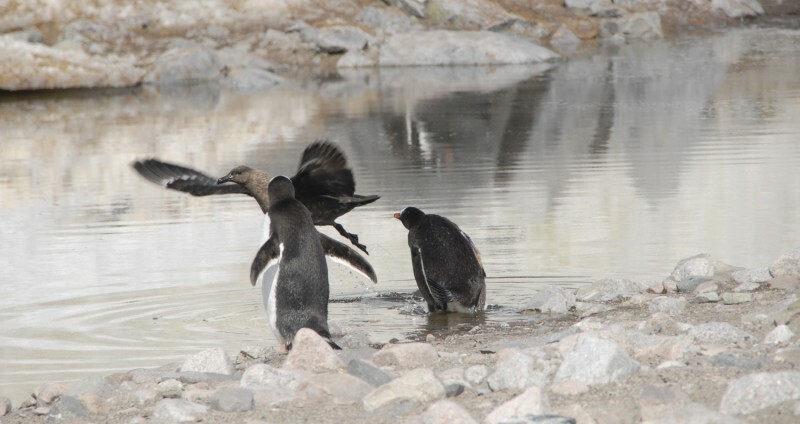 There may also be some gentoo penguins on he beach and fur seals arrive towards the end of summer. The Argentine station Cámara Base is located on the island but has not been regularly occupied in recent years. Deception Island is actually an active volcano. The crater walls form the surrounds of the island with a narrow opening to the sea called Neptune's Bellows (named so because of the violent winds that sometimes blows through across the entrance) giving the island it' s distinctive horseshoe shape. This opening has resulted in the centre of the island being flooded and forming a caldera and the safest natural harbour in the Antarctic region. This harbour has been a safe haven for ships throughout the history of human exploration in Antarctica. It was also the location of a Norwegian Whaling station and evidence of this is still there today in the form of buildings, blubber tanks and other remnants. Ships will usually anchor in Whalers Bay. Above the black volcanic sand beach and often shrouded in fumes and vapour from natural vents in the sand, is another missing piece of the caldera wall forms Neptune's Window. 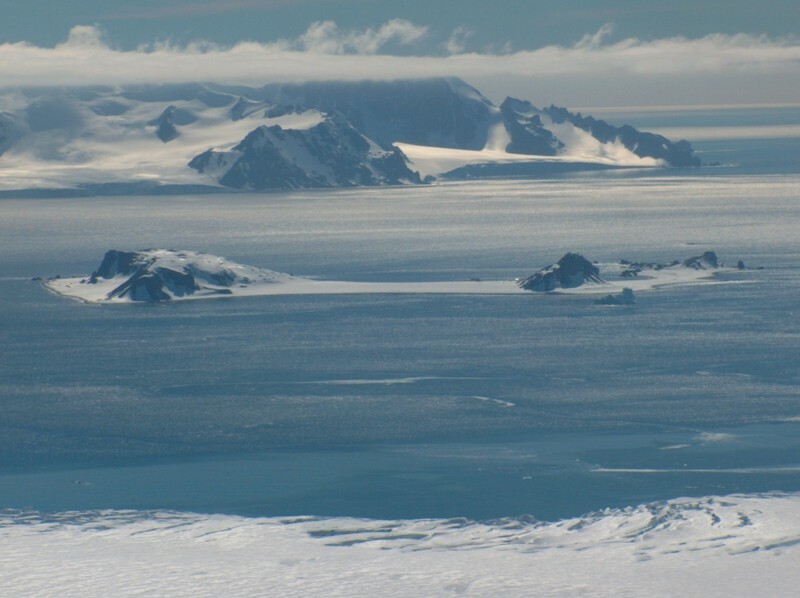 With reasonable visibility you can see the Antarctic Peninsula 90 km (56 miles) to the south. Wildlife is reluctant to enter the waters of Whaler's Bay as they are uncomfortably warm but you may come across the odd Weddell or leopard seal hauled out on the beach. 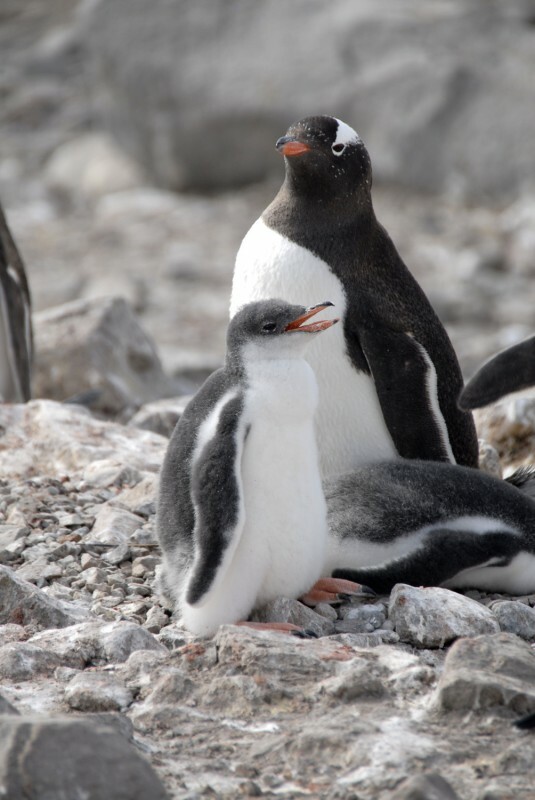 You may spot a couple of gentoo or chinstrap penguins about too. A full experience of Deception Island's wildlife depends on sea conditions. A landing at Baily Head (Rancho Point) is worth it with fur seals crowding the long, black beach along with multitudes of chinstrap penguins. During the summer months nesting chinstrap form a super highway moving between the beach and a bowl-like amphitheatre which is covered with nests. If you are lucky to get good weather you can walk from here across the ridge and down into Whalers Bay. This is the narrow entrance into the caldera that is deception island. The name was given because of the strong gusts experienced in this narrow channel. As you enter key an eye to the right hand side where you should be able to see geothermal activity. Baily Head is a rocky headland exposed to the Bransfield Strait on the south east coast of Deception Island. The site comprises the southern end of a long linear beach which runs along most of the eastern side of Deception Island, and a narrow valley that rises steeply inland to a semi-circular ridgeline, giving the impression of a natural ‘amphitheatre'. It holds one of the world's largest chinstrap rookeries. Penguin Island is located off the north east of King George Island. 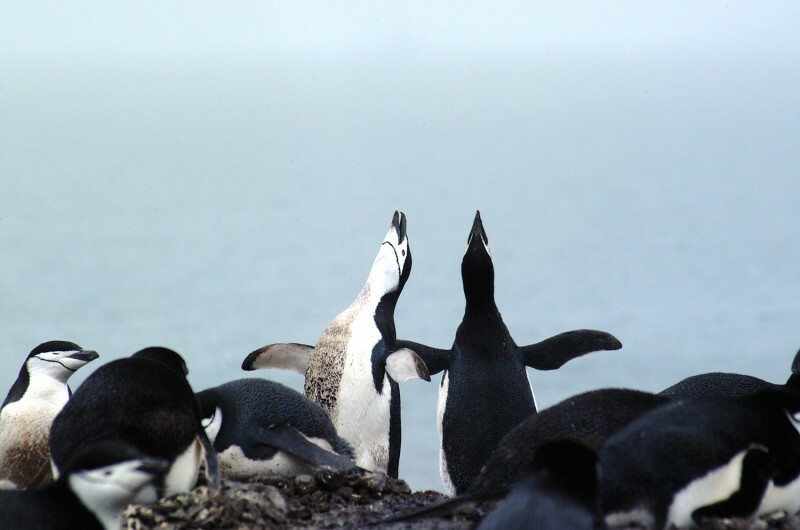 It is currently home to about 8000 breeding pairs of chinstrap penguins and about half that number of Adélies which are situated at the southern end of the island. At the beginning of summer the island is usually covered in snow later thawing to reveal mosses, grasses and lichens. Fur seals may also come to shore. The island's summit is Deacon Peak, a 169 mt (554 ft) volcanic cone. The South Shetland Islands volcanic origin is confirmed by the thrusting, rocky spires of the tiny Aitcho Islands. Large rookeries of chinstrap penguins surround the landing site at the eastern end of the main island, Barrientos Island, while Gentoo's nest among the bones on Whalebone Beach. On the western side of the island, elephant seals can be found near the landing beach but later in the season when the snow has melted, transit is not allowed because of potential damage to the fragile environment and nesting wildlife. You may sail into the Weddell Sea through the ice-clogged Antarctic Sound. 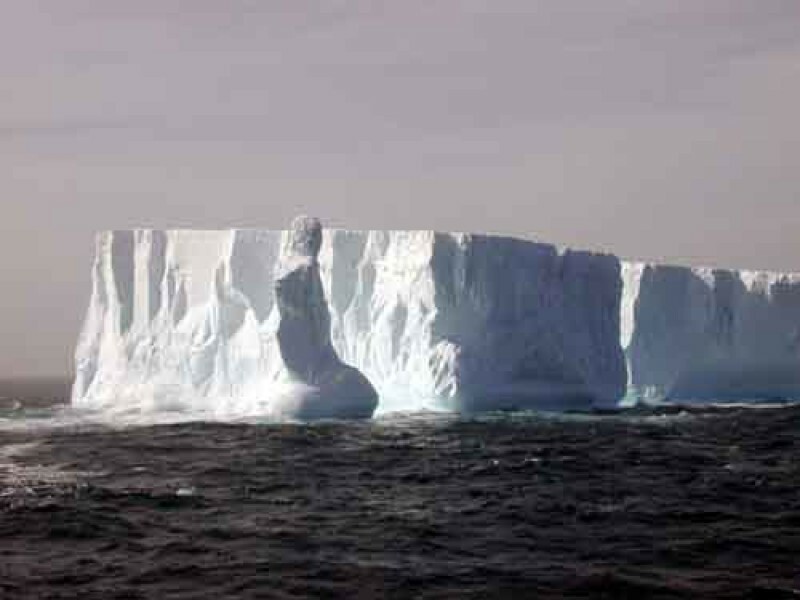 Huge tabular icebergs will announce your arrival to the eastern side of the Antarctic Peninsula. There may be a chance to visit Paulet Island with a million pairs of Adelie Penguins and the remains of the Nordenskiöld expedition. At Brown Bluff you can set foot on the Continent of Antarctica. One of the largest colonies of Adélie penguins in Antarctica occupies Paulet Island. At least 100,000 breeding pairs crowd the beach and nearby slopes. Skuas, giant petrels and snowy sheathbills live off the rookery as well as the opportunistic leopard seals that patrol the shores in search of easy prey. This very rarely visited island was named for its two striking peaks or 'horns' and is the nesting site for some 10,000 pairs of Adelie penguins. Climbing the western peak, which is a few hundred meters in height, provides superb views into Erebus and Terror Gulf. On the upper slopes you may see nesting snow petrels and Wilson's storm petrels. 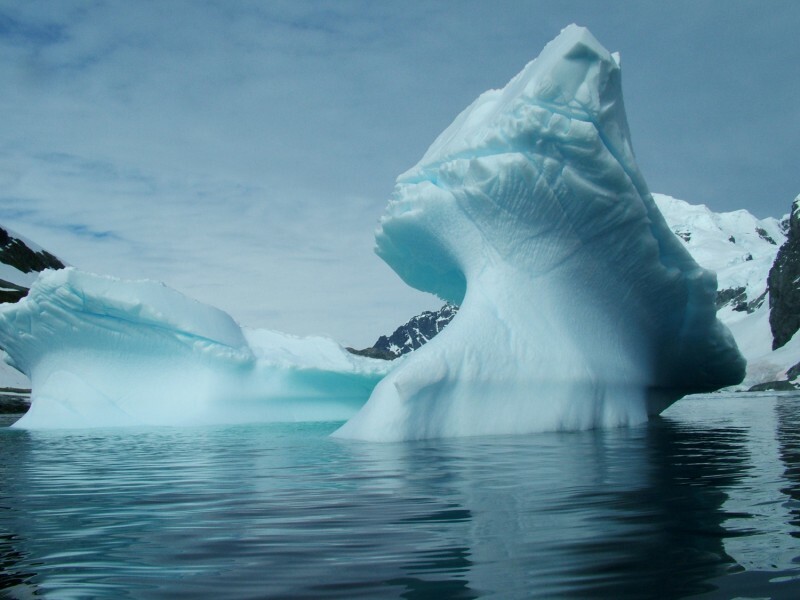 There are often large numbers of grounded icebergs offshore which are great for a Zodiac cruise. Nils Otto Gustaf Nordenskjöld, a Swedish polar explorer, named the island for the ship Vega, used by his uncle Baron AE Nordenskiöld who in 1878-1879 made the first complete crossing of the Northeast Passage. On October 12, 1903, Nordenskjöld encountered the three missing members of his party, who had wintered over at Hope Bay; at a place they named Cape Well-Met on the north coast of the island. Vega Island is also famous for its rich trove of fossils, located in deposits which span the Cretaceous and Tertiary periods. This includes the Cretaceous-Tertiary extinction event, which wiped out all non-avian dinosaurs, and it is one of the best such in the world. 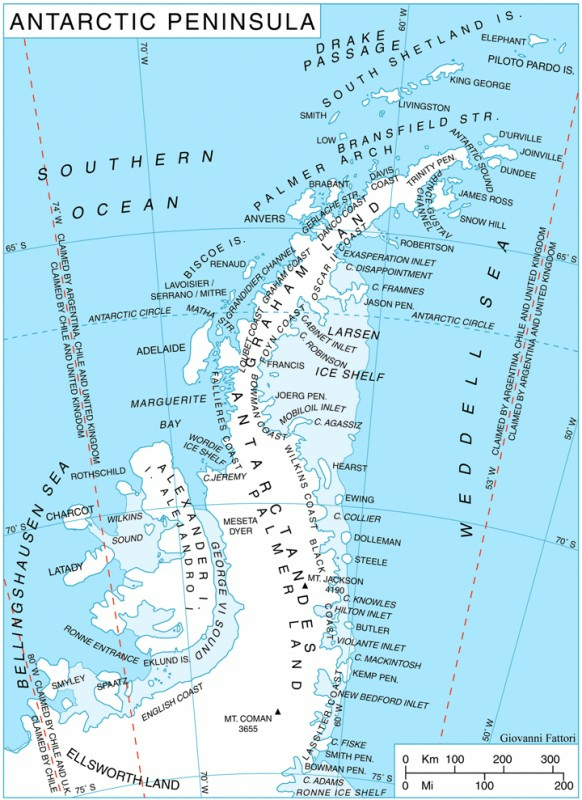 Until 1995 an ice shelf permanently connected this 65km long island to the Antarctic mainland before the ice shelf collapsed. Nils Otto Gustaf Nordenskjöld, a Swedish polar explorer, named the island for its discoverer Sir James Clark Ross, leader of a British expedition to this area in 1842. It is one of several islands around the peninsula known as Graham Land, which is closer to South America than any other part of that continent. 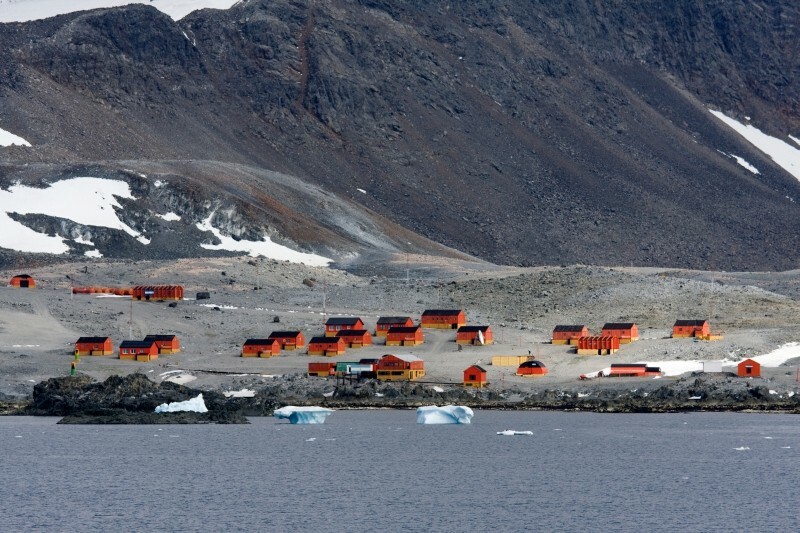 The first Czech Antarctic Base is located on the island. The beaches and rocks of this mighty island are volcanic and sedimentary and are an absolute paradise for anyone interested in geology. 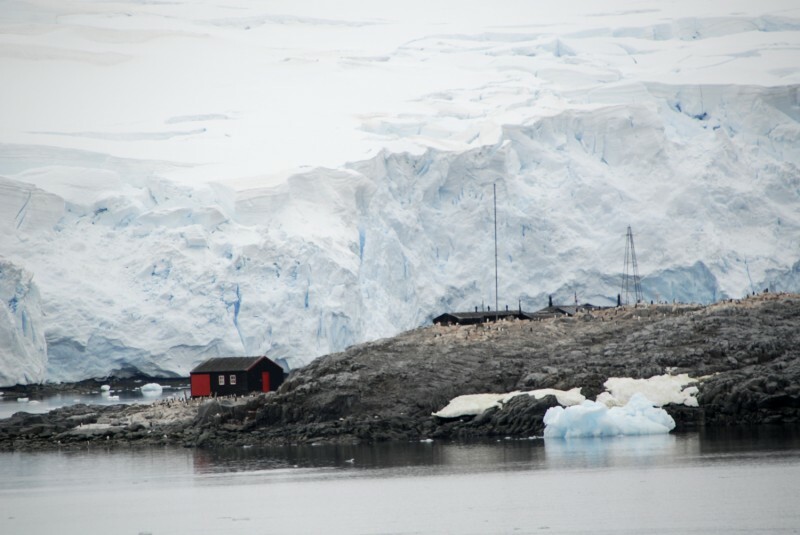 Ice floes in the surrounding waters provide temporary floating homes for Weddell and leopard seals. The Antarctic Peninsula is regarded by many who have been lucky enough to visit as being one of the most beautiful places on earth. Towering, jagged ice and snow covered mountains hosting glaciers that flow towards the sea, sometimes spilling into mid-air from hundreds of feet down into the icy waters below. 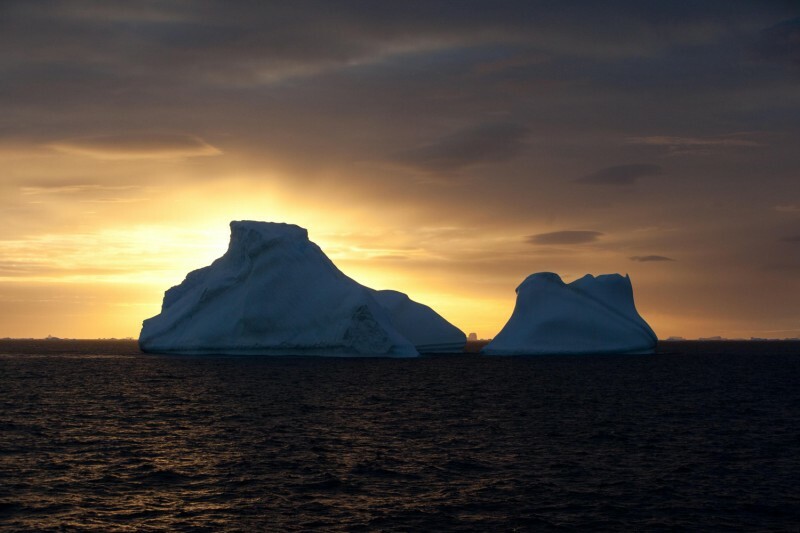 Huge expansive skies, massive icebergs, cloud, sun, wind, all types of weather changes and of course the hugely abundant wildlife that you will see altogether make for a trip of a lifetime, a unique journey to this icy wonderland. Nansen Island or Isla Nansen Sur is the largest of the islands lying in Wilhelmina Bay off the west coast of Graham Land. Nansen Island was discovered by the Belgian Antarctic Expedition (1897-1899) under Adrien de Gerlache and named for Dr. Fridtjof Nansen, noted Arctic explorer. The Argentinean Research Station "Esperanza" founded in December 1952 is located at Hope Bay and has operated continuously since then. In 1978 an expansion program brought whole families to Esperanza. The population ranges from 55 in winter to 90 in summer of which about one third are children or spouses. Your voyage may stop for a visit here. Situated in the Antarctic Sound, Brown Bluff is where the eastern edge of the Tabarin Peninsula drops almost sheer to the water from and ice-capped summit. From a rocky beach, a steep scree slope rises to a towering, rust coloured cliff of volcanic rock. Adélie penguins number tens of thousands here and several hundred gentoo penguins live here too. A narrow passage between Wiencke Island and Anvers Island, Palmer Archipelago. First noted by German Whaling and Sealing Expedition 1873-74 it was then navigated and charted by the Belgian Antarctic Expedition 1895-98. It was named for the German geographer Georg von Neumayer. 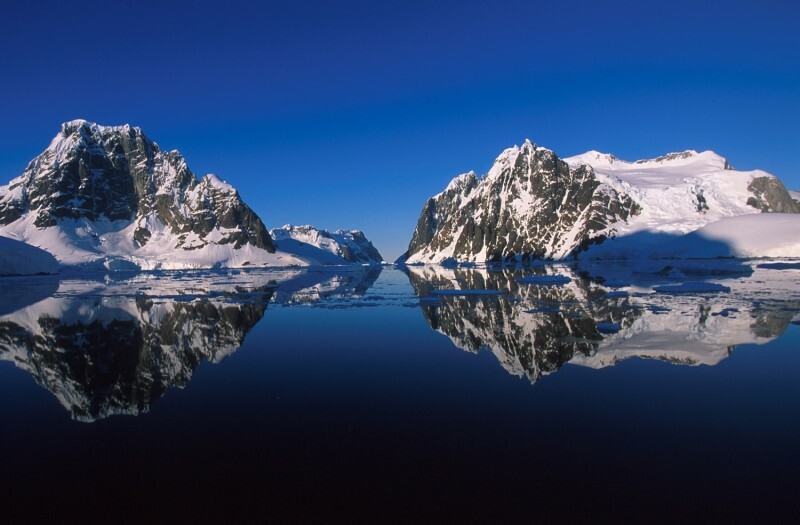 The Gerlache Strait is one of the major waterways in Antarctica stretching between the Antarctic Peninsula and the string of islands to the west. It is enclosed by mountains, rocky cliffs and glaciers. Cuverville Island is located at the northern end of Errera Channel. 5000 pairs of gentoo penguins breed on the long beach at the northern end of the island. The surrounds of the beach rise steeply to the 252 mt (827 ft) rocky dome that makes up most of the island. This island is only about 1 mile long and lies at the south of Cuverville Isand in the Errera Channel. Nesting Gentoo penguins surround hut foundations at the northern end of the island during the breeding season. 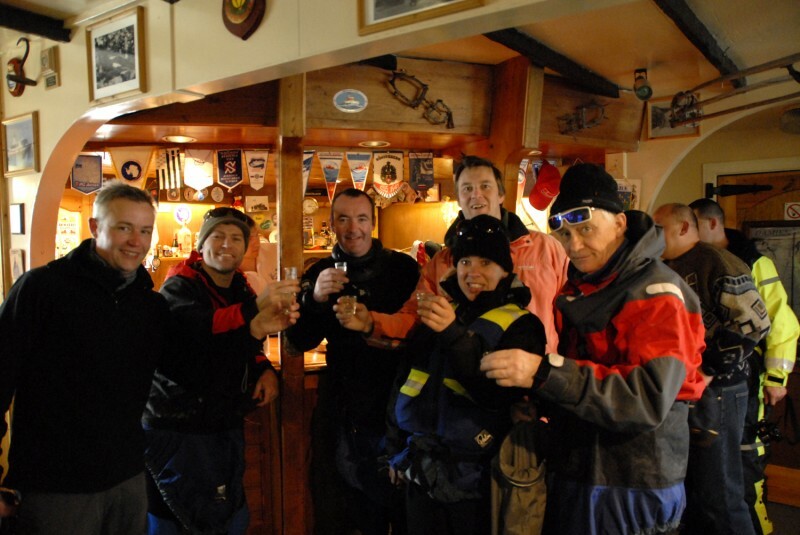 The hut was built by the British Antarctic Survey and occupied from 156 to 1958. The hut was removed in 2002. Anvord Bay is a deep expanse of water surrounded by mountains and glaciers spilling down to the shoreline. On the eastern side of the bay is Neko Harbour, a beautiful location. It's unfortunately named after a whaling ship Neko which operated in the area 1911-24 and frequently moored there. You'll find snowy sheathbills nesting as well as a Gentoo rookery. Paradise Bay is a beautiful location with majestic icebergs reflecting in the surrounding waters. It was named by the early 20th century whalers who appreciated its beauty. 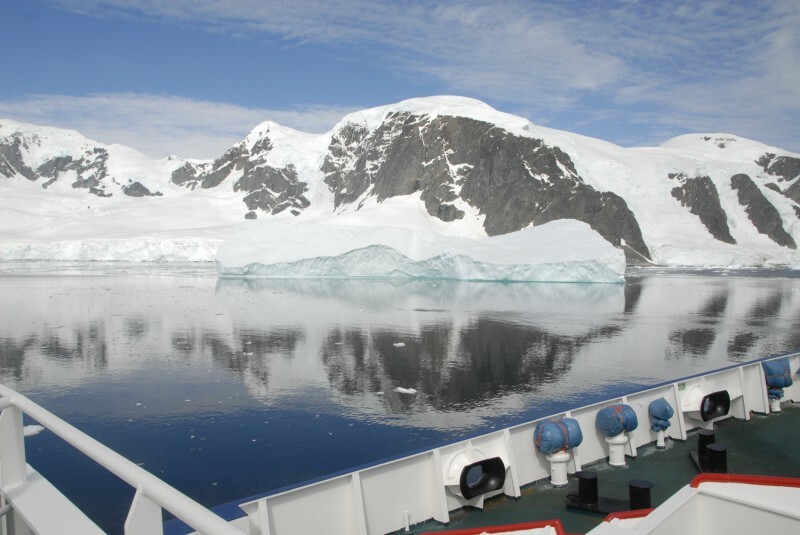 It's a popular location for zodiac cruising with a glacier located at the head of the bay. There is a chance you may get to see the glacier calving. Paradise Bay is also home to the Argentinean base Almirante Brown. Port Lockroy is a natural harbour. It was discovered in 1903 by a French Antarctic expedition and was used for whaling and British military operations during World War II. It continued to operate as a research station until 1962. Jean-Baptiste Charcot in obtaining government support for the French expedition. In 1996 the research buildings at Port Lockroy were renovated and it is now a museum and visitor centre with post office. This steep sided channel just 1600m wide runs for 11km between the mountains of Booth Island and the Peninsula. It's nicknamed "Kodak Gap" because it is so photogenic. The channel was discovered in by a German expedition in 1873-74 and named after Belgian adventurer Charles Lemaire. Pleneau Island lies at the south end of the Lemaire Channel, and was first explored during Charcot's 1903-05 French Antarctic Expedition. The island was named for the expeditions photographer, Paul Pleneau. The island plays host to Gentoo Penguins, kelp gulls and south polar skuas. You may also get to see some southern elephant seals that are often hauled-out. 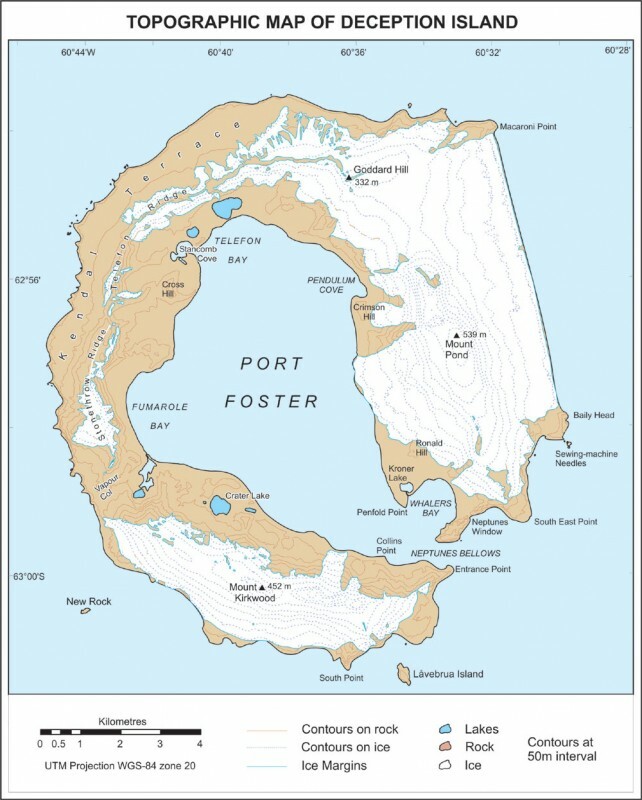 Petermann Island is a small island just off the west side of the Antarctic Peninsula of Antarctica, just a short distance south of Booth Island and the Lemaire Channel. 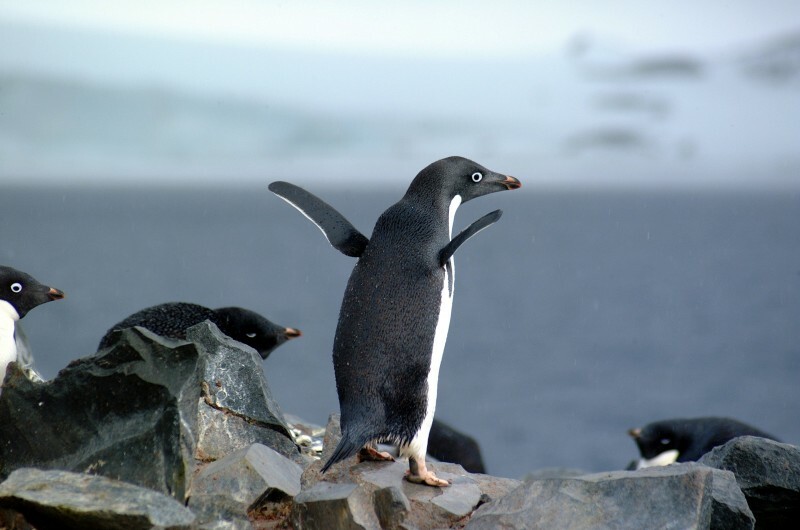 Just 2 km (1.2 mi) long, the low rounded island is home to the worlds southernmost colony of Gentoo Penguins, and also hosts a number of Adelie Penguins. 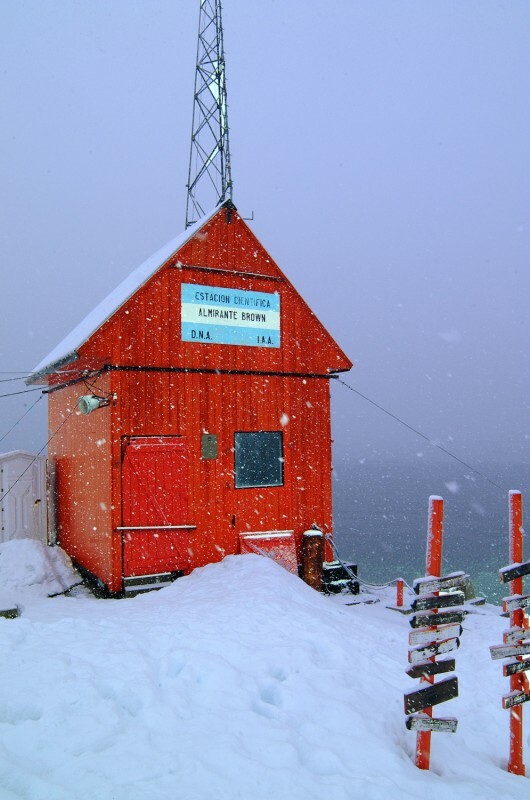 Vernadsky Research Base ("Akademik Vernadsky") is a Ukrainian Antarctic Station at Marina Point on Galindez Island in the Argentine Islands, Antarctica. 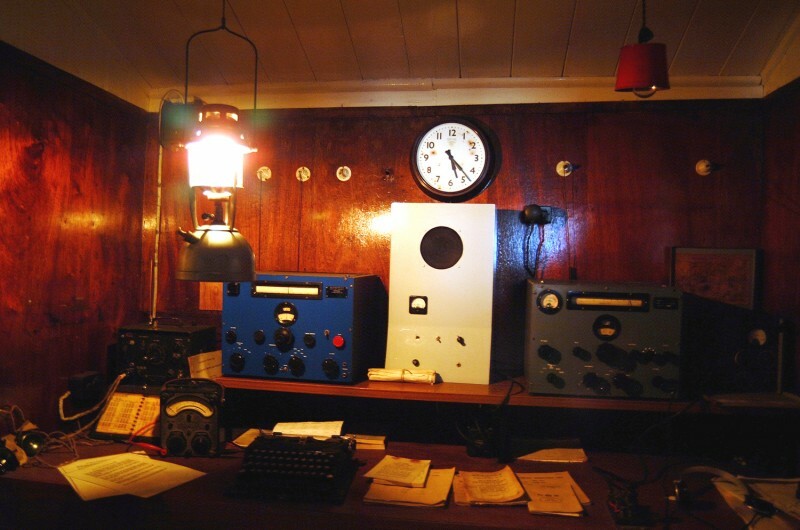 The station was established by the British Falkland Islands Dependencies Survey as Base F or "Argentine Islands" on Winter Island in 1947. 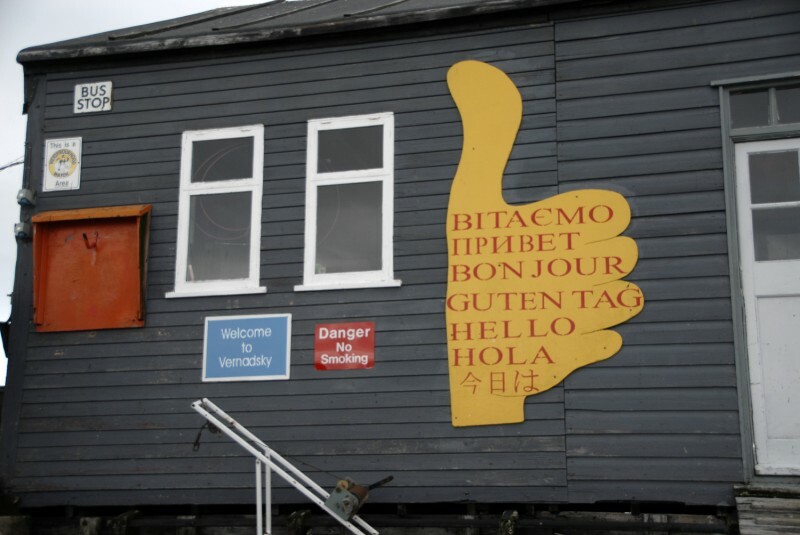 The main hut, built on the site of an earlier British Graham Land Expedition hut, was named "Wordie House" after Sir James Wordie, a member of Shackleton' s Imperial Trans-Antarctic Expedition who visited during its construction. Wordie House has been restored and is designated an Historic Site and Monument. The base moved to the present site on adjacent Galindez Island in May 1954. Ukraine took over the operation of the base in February 1996. The Ukrainian Antarctic Centre continues a programme of meteorology, upper atmospheric physics, geomagnetism, ozone, seismology, glaciology, ecology, biology and physiology research. If you pay a visit here you have to visit the bar to have some homemade vodka. You can even get to see the £1 note that was used to purchase the base! 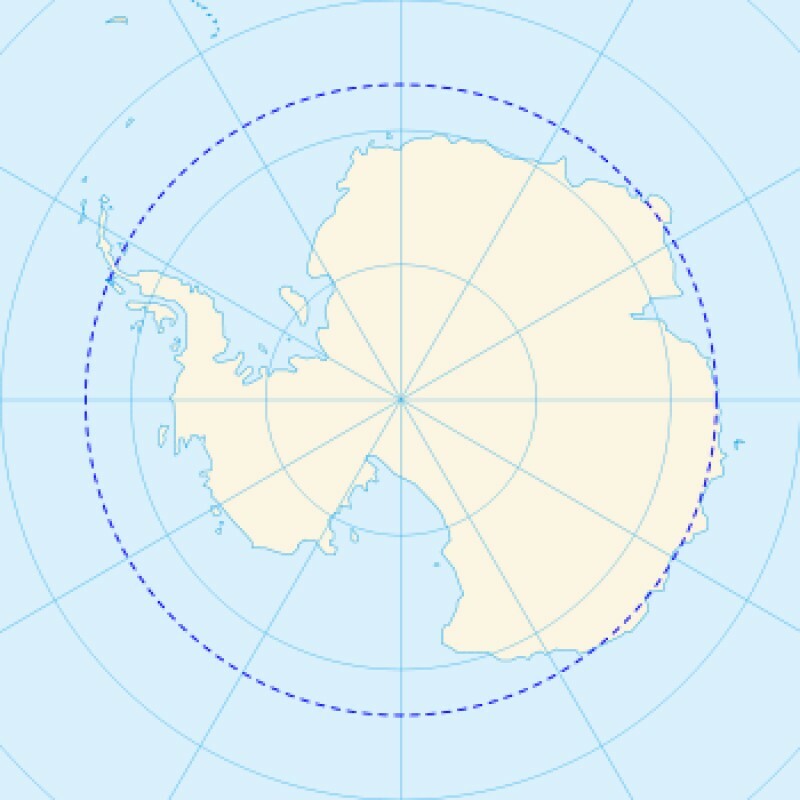 The Antarctic Circle is one of the five major parallels of latitude that mark maps of the Earth. For Epoch 2010, the parallel of latitude that runs 66°33′ 44″south of the Equator is the Antarctic Circle. First discovered in 1873-74 then re-sighted and charted by the French Antarctic Expedition under Jean-Baptiste Charcot, 1903-05. Charcot named what he believed to be the large easternmost island in the group Île Melchior after Vice Admiral Melchior of the French Navy. Later surveys identified that there were several islands and they were named Eta, Omega & Sigma Island, collectively the Melchior Islands. 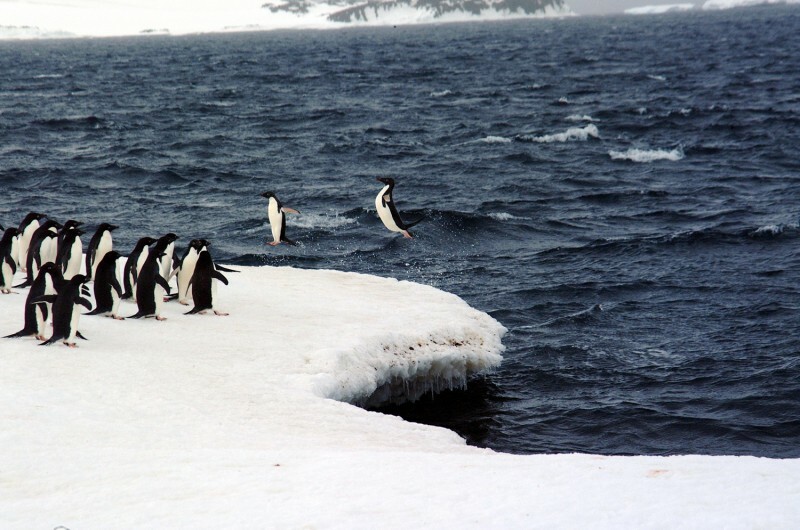 The Fish Islands are host to one of the southernmost Adelie Penguin and Blue-eyed Shag colonies in Antarctica. 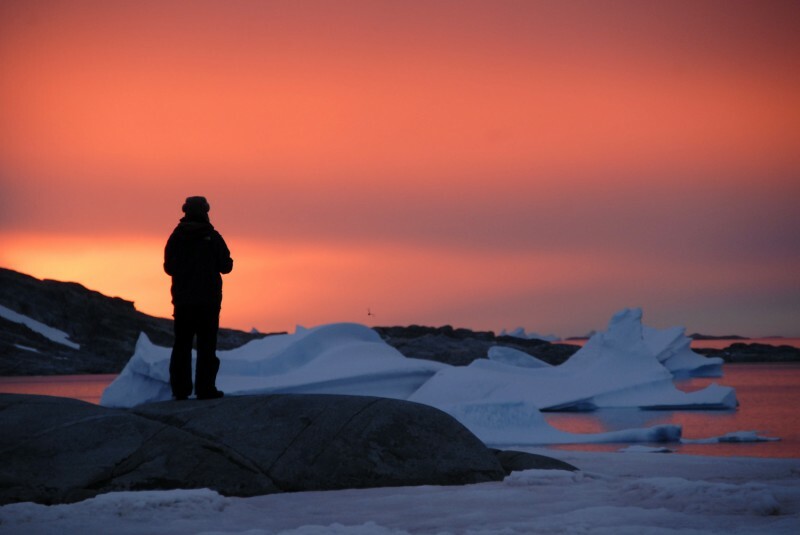 The surrounding area has many icebergs with great opportunities for photography. 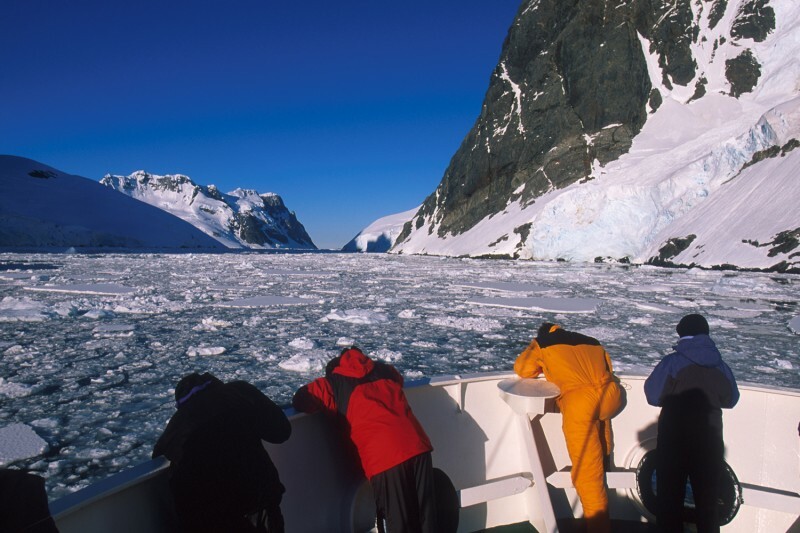 Crystal Sound is a beautiful ice crammed area that is a great location for Zodiac cruising. At this stage you have now crossed the Antarctic Circle. Detaille Island is a small island off the Northern end of Arrowsmith Peninsula. 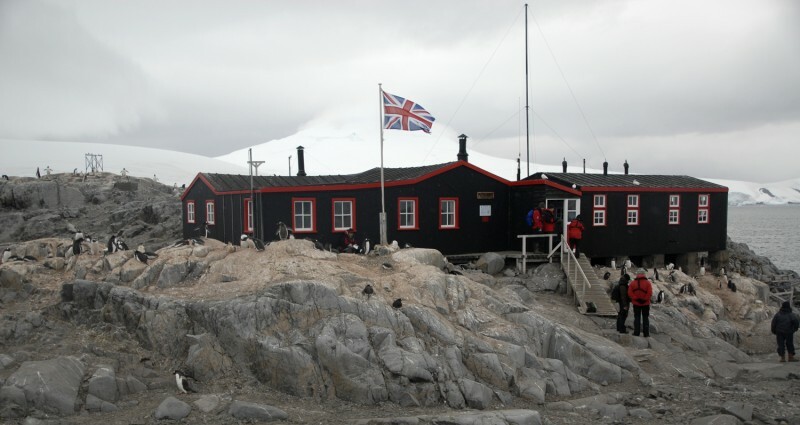 From 1956 to 1959 it was home to "Station W" of the British Antarctic Survey.